Lee Brogan’s Elemental explores the physical embodiment of the powers and presence of nature. We see elements such as water and stone, as not just essential but as living beings. Water mesmerizes us with its beauty, hypnotizes us with its rhythm, calms, soothes and reconnects us with our bodies and minds. Water interacts with air, stone and light to reveal the universe within. Through altered and enhanced imagery we can slip sideways into a parallel universe, closely aligned to our own, but where the microcosm becomes the macrocosm and vice versa. We are never really sure what we are seeing so the imagination searches for meaning in the abstract. What is real? What is imagined? And is there a difference? 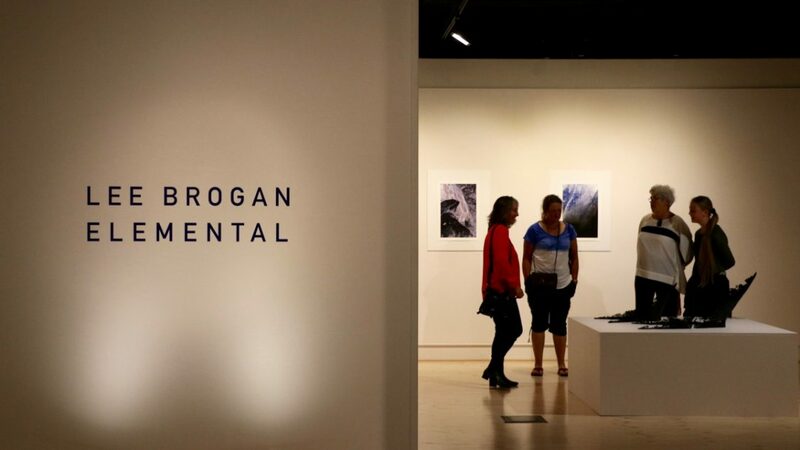 These works originate within a radius of a few hundred metres from Brogan’s home on the Purerua peninsula, where she has close ancestral connections to the lands of the Bay of Islands.